Researchers at the Applied Physics Laboratory helped to lead the University of Washington eScience Institute’s first GeoHackWeek during 1418 November 2016. The event combined tutorials with group work ("hacks") on computational projects in geospatial sciences. Inspiration for the event came, in part, from a group of APL-UW scientists, each working on different Earth science problems, but united by a common interest in advancing open source geospatial software development. Anthony Arendt, who holds a joint appointment with the APL-UW Polar Science Center and the UW eScience Institute, connected Ben Hudson, Emilio Mayorga, Landung "Don" Setiawan, and David Shean. The team then engaged with about 10 other scientists across the UW to design a program for sharing their collective knowledge with the broader research community on campus and beyond. The event was hosted by the eScience Institute and its format borrowed heavily from recent Institute AstroHackWeek and NeuroHackWeek events. Each morning consisted of tutorials in open source vector and raster processing, multidimensional array analysis, data visualization, remote dataset access and cloud technologies, with a focus on Python tools. We also emphasized collaboration and reproducibility through tutorials on Git/GitHub, Docker, Anaconda, and Jupyter notebooks. APL-UW researchers played a particularly vital role in guiding open session tutorial work in the afternoons. For example, David Shean led a group of eight participants in developing an open source workflow for determining glacier mass balance from high resolution digital elevation models. Other projects designed software to address global climate change, urban planning, and ecosystem management. 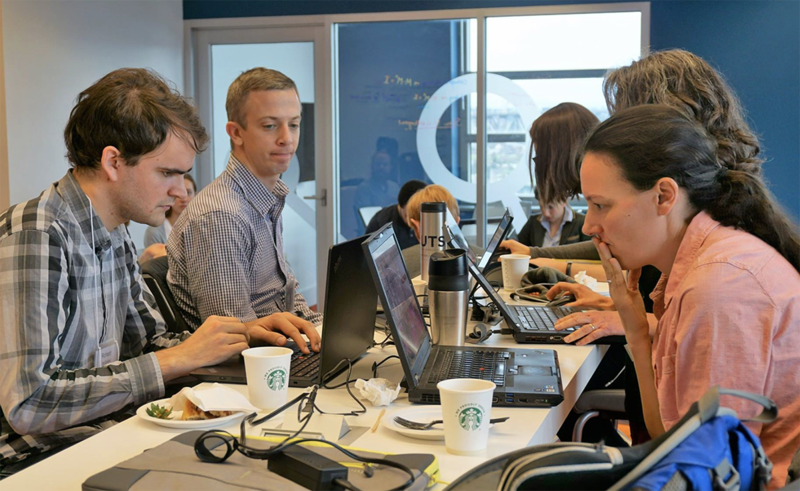 The hackathon was also an opportunity to link APL-UW researchers with industry partners. We welcomed guest lecturers Tyler Erickson and Nicholas Clinton from Google who demonstrated the capabilities of Google Earth Engine, and James Douglass from the Natural Capital Project, who provided tutorials on raster processing. 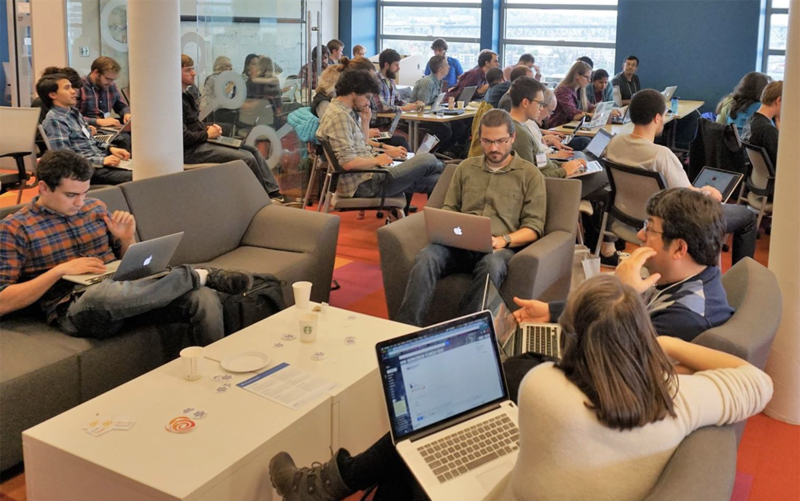 Material from the event is available online at GeoHackWeek website (links provided in the "schedule" section), and ongoing project work can be accessed on our GitHub page.